A simple search of the terms Education is Useless, pulls-up over 74 MILLION returns, making the topic one for investigation. Here are a couple that should give one pause to reflect…..be sure to read to the end. One of the biggest issues is that our children are growing up in a culture where their passions are advertised and sold to them – there’s no room for them to grow on their own terms. They are more motivated to become the next American Idol, contestant on “Dancing With the Stars” or hip-hop mogul than to become leaders of the free world or create the next Internet. What else can explain the fact that President Barack Obama and Kim Kardashian have the same number of Twitter followers? Show them the amazing lifestyle they can earn by becoming a contributing member of the knowledge economy. Put new role models in front of them – people they should look up to, follow on Twitter and “like” on Facebook. The opinions expressed in this (original) CNN commentary are solely those of Calvin Mackie. 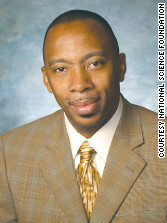 Calvin Mackie is an author, speaker, former engineering professor and technology entrepreneur. He graduated from high school with low SAT scores that required him to take special remedial classes before he was admitted to Morehouse College. He has since earned a Ph.D. in mechanical engineering, received the Presidential Award for Excellence in Science, Mathematics and Engineering Mentoring, and inspired thousands of students and educators across the country. Intellectual rhymes with ineffectual, and rightly so, many would say. The uselessness of education is a perdurable theme in Western cultural history—-one so influential, in fact, that any respect we might have for highly educated people is likely to retreat before our suspicion of them. Education is useless because it destroys our common sense, because it isolates us from the rest of humanity, because it hardens our hearts and swells our heads. Bookish persons have long been subjects of suspicion and contempt and nowhere more so, perhaps, than in the United States during the past twenty years. Critics of education point to the Nazism of Martin Heidegger, for example, to assert the inhumanity of highly learned people; they contend that an oppressive form of identity politics has taken over the academy and complain that the art world has been overrun by culturally privileged elitists. There are always, it seems, far more reasons to disparage the ivory tower than to honor it. 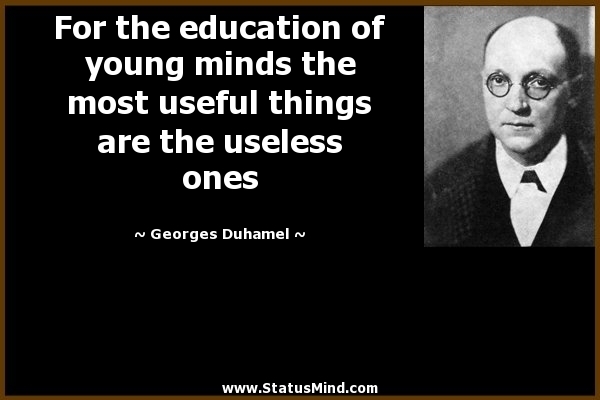 The uselessness of education, particularly in the humanities, is a pervasive theme in Western cultural history. The immemorial theme of the uselessness of education is so pervasive that we find it voiced by the most disparate people imaginable. A Chinese emperor of the third century B.C., Qin Shi Huang, is said to have buried intellectuals alive; and as we can learn from Richard Hofstadter’s classic study, Anti-Intellectualism in American Life (1963), the impulse certainly did not die with him. “It is evident that to read too many books is harmful,” said Mao Tse-Tung. With wit and precision, Why Education Is Useless engages those who attack learning by focusing on topics such as the nature of humanity, love, beauty, and identity as well as academic scandals, identity politics, multiculturalism, and the corporatization of academe. Asserting that hostility toward education cannot be dismissed as the reaction of barbarians, fools, and nihilists, Daniel Cottom brings a fresh perspective to all these topics while still making the debates about them comprehensible to those who are not academic insiders. 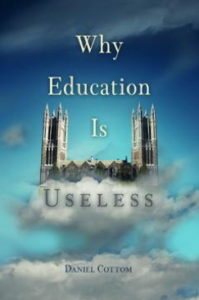 A brilliant and provocative work of cultural argument and analysis, Why Education Is Useless brings in materials from literature, philosophy, art, film, and other fields and proceeds from the assumption that hostility to education is an extremely complex phenomenon, both historically and in contemporary American life. According to Cottom, we must understand the perdurable appeal of this antagonism if we are to have any chance of recognizing its manifestations—and countering them. The tide of instrumentalism threatens to engulf the UK’s higher education sector, but could a new wave of liberal arts programmes signal a return to the ancient ideal of learning for its own sake? Nigel Tubbs hopes so!